Today is all about green. Even though this shows up really well on the white, it doesn’t really show up on the black that well. It stamps but it’s a bit patchy for me. I probably won’t use this one for stamping unless it is the only one you have. It’s workable. This is a light green holo. It is so light that it barely shows up on the white. It does show up on the black but more so the holo than anything else. 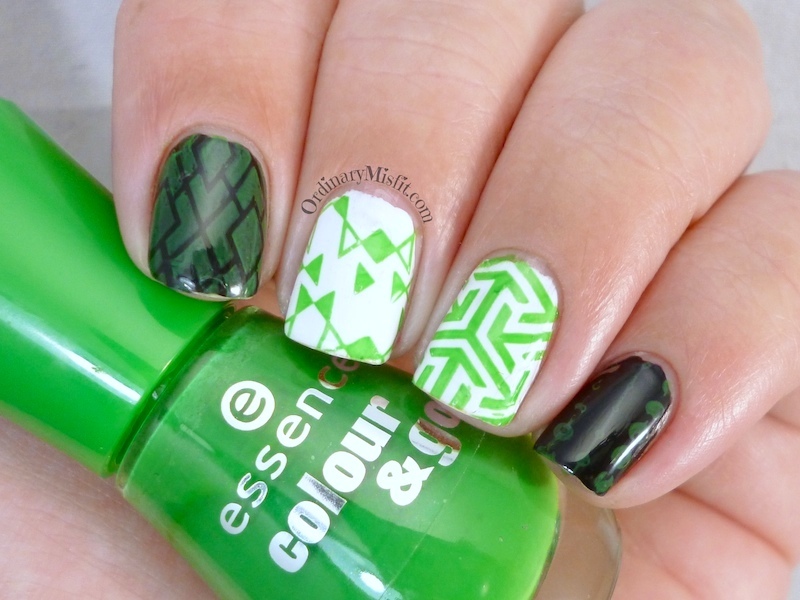 Even though it does stamp well it isn’t one I would use for stamping just because the green part of it is so light and sheer. The holo however shows up great! This is such a bright and beautiful green I am not surprised it shows up so well on the white and fairly well on the black. You can at least still see it is green on the black. It also stamps really well. This is definitely one I will use again. This Conserve is something special. It is a beautiful green with blue / aqua shimmer and on the black it looks stunning. The smudging on my index is all me. In real life it looked perfect on the white but on the photo it looks a bit patchy. I am wondering it is the shimmer that just didn’t show up well on the photo. Definitely something to use again. It shows up really well on the black and the white and stamps pretty well too. Beijos de Brazil is perfect over the white! 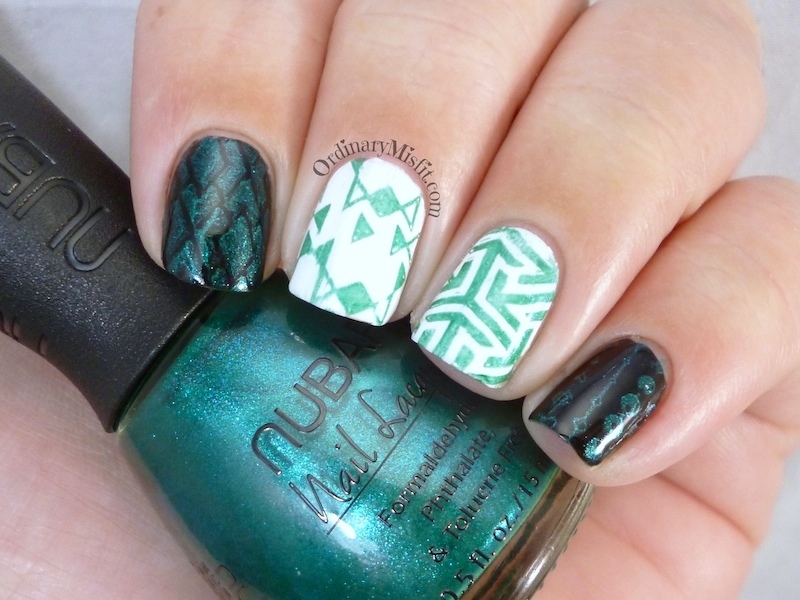 The Nubar is an absolutely gorgeous colour but I’m not so sure I’d use it for stamping. I agree with you about the Nubar. It’s ok but definitely not the best one. Beijos de Brazil is great!! I think Brazil is the winner! 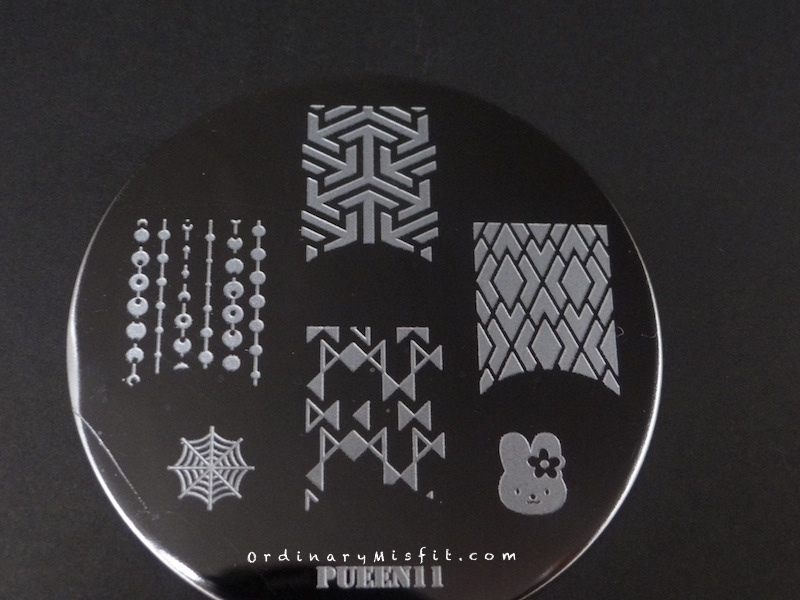 Love the stamping, got a stamping plate but really battling with the imprints to come out right. Any advice? I assume you have removed the protective film from the plate? A few things I can suggest. I am not sure what you are using to scrape but I would suggest using a plastic gift card type of thing. It might also be the polish. 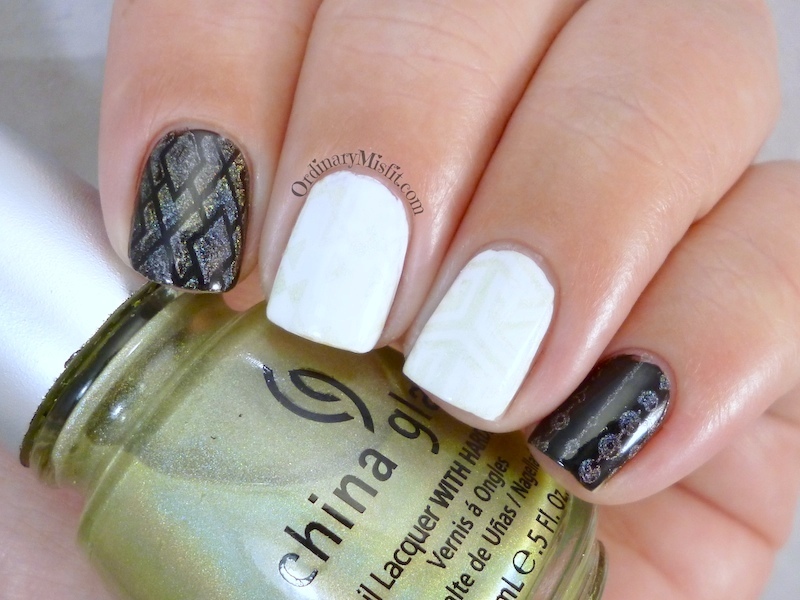 If you are not using stamping specific polish, maybe try something different. There are a few normal polishes that work really well so try a few different ones. You might have to ‘prime’ your stamper. I can suggest washing it with warm water and dish wash liquid. If still not you can try to lightly buff the top of the stamper, especially if it is super shiny (What stamper are you using?) Lastly, it could just be that your plate isn’t etched deeply enough. I would start with the scraping and polish and then try the stamper. Also, don’t scrape too hard and don’t press too hard when picking up the image. Scraping too hard can ‘remove’ too much polish from the image so there isn’t enough polish left. Ok really lastly, make sure you aren’t taking too long between scraping and transferring. if it gets dry it won’t pick up. PLEASE shout if I can help with anything else. Any specific questions or anything just shout 🙂 Good luck!